Ideal for Hebrew students and pastors, A Reader?s Hebrew Bible saves time and effort in studying the Hebrew Old Testament. By eliminating the need to look up definitions, the footnotes allow the user to read the Hebrew and Aramaic text more quickly, focusing on parsing and grammatical issues. 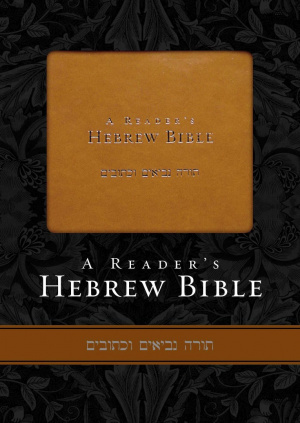 A Reader?s Hebrew Bible is a practical, attractive, and surprisingly affordable resource. 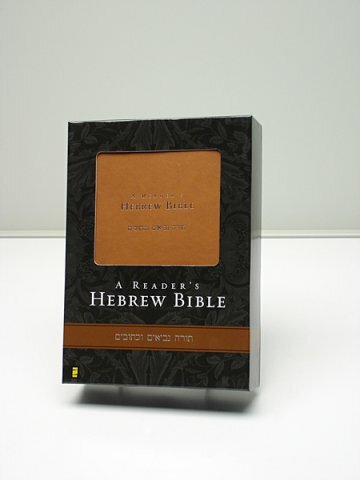 A Reader's Hebrew Bible by A. Philip Brown; Bryan W. Smith was published by Zondervan Academic in February 2008 and is our 14707th best seller. 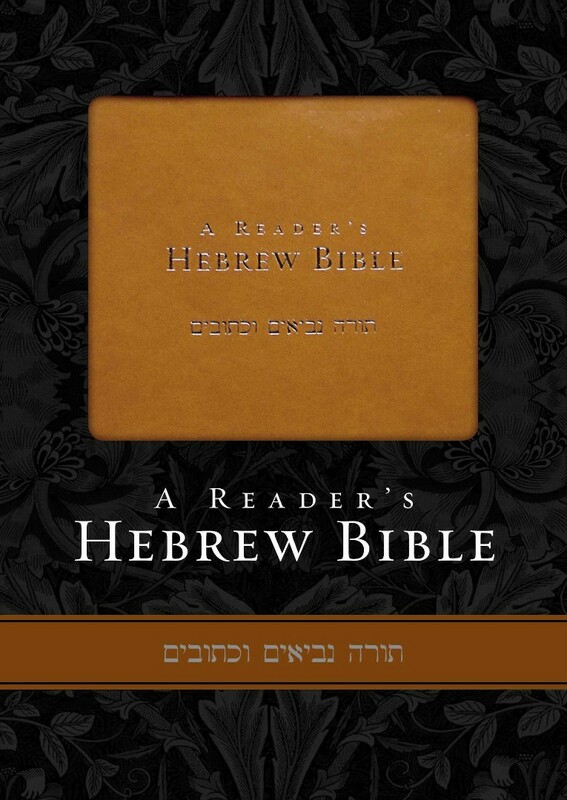 The ISBN for A Reader's Hebrew Bible is 9780310269748. I like it so much, I bought 2! Reviewed by John Scott, Northern Ireland, near the Mountains of Mourne. My Hebrew isn't as good as I would like it to be, but this book has already become so much a part of my daily life that I can't imagine having to do without it. There's currently nothing else quite like this on the market, and I have to admit that I purchased a second version as a reserve - just in case I lose my 'main' one, and find it's gone out of print or something. Interlinear bibles, generally, are bad news. They make us think we know the language better than we really do. This is different. On the main page, you get the Hebrew text with no helps. But for the less-common words, there's a glossary at the bottom of the page. This means you FIRST try to work out the text for yourself, and only resort to the footnotes when you're stuck. In the past, my daily Hebrew reading was only a few verses long, then I collapsed from mental exhaustion! With this version, I find I can comfortably read longer sections and whole stories. It really *is* a Readers' Version. Highly recommended for Hebrew students and those who (like me) are suffering from Rusty Hebrew Syndrome! I bought the elder sister in the series on the Koine Greek NT scriptures a few year back and read it every day, so I was so excited to find this book had now been published. And it is truly wonderful to have the original Hebrew OT in my hands and be able to access God's word as he spoke it to the Jews. This is a wonderful book. The world has conspired to keep the Hebrew OT out of the hands of serious amateurs like myself for so long. I have looked at and failed to get into Biblical Hebrew for years and the main reason was the lack of easy access to the actual Word. This book serves to fill this yawning gap and I will be forever grateful to the authors for the time and effort they have spent in doing this strangely long-awaited event. I would make one suggestion for the second edition - which I will buy! - in that the Koine Greek NT sister book has a glossary of common words at the back. This Hebrew OT does give a footnote on obscure words, but I need to keep a Hebrew dictionary nearby as there is no easy way to refer to a word if - as you do - it is forgotten. So, please add a common Hebrew words glossary at the back. On the same theme, there is no glossary on the Aramaic in the OT at all. Pretty-please add this next time too, ta? But, I am so excited about this book. I look forward to reading it every day: a chapter in the Greek NT from the sister book, and a chapter from the Hebrew OT from this book. If it were possible, I'd be in heaven already just having these two books! Got a question? No problem! Just click here to ask us about A Reader's Hebrew Bible.